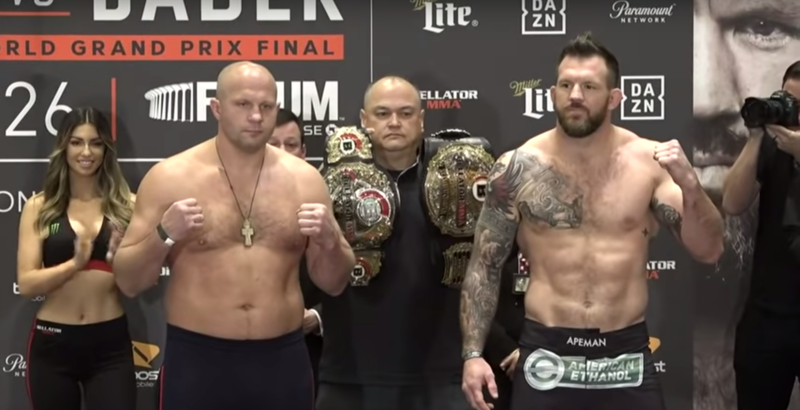 Bellator 214 would not only be a record setting night for Ryan Bader, but would be the highest rated broadcast for Bellator since January 2018. 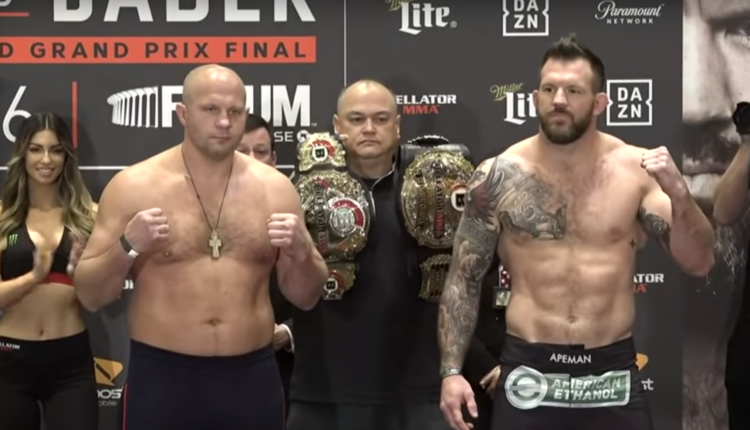 The card featuring the heavyweight grand prix final between Ryan Bader and Fedor Emelianenko, as well as highly-touted fighter Aaron Pico and debut of pro-wrestler Jake Hager, would average 697,000 viewers on Saturday, the highest number since Bellator 192 a year earlier. headlined by Chael Sonnen and Rampage Jackson. Hampering a bigger number was the top three fights lasting a combined 3:42. Facing tough competition also would take viewers away from the Paramount Network, as ABC would see 4.29 million viewers for a Golden State Warriors and Boston Celtics game, For FOX Keith Thurman and Josesito Lopez would generate 1.98 million viewers, and for NBC the NHL All-Star game would draw a respectable 1.778 million viewers.